After almost 2 weeks my bad back decided to let me know it was doing too much. 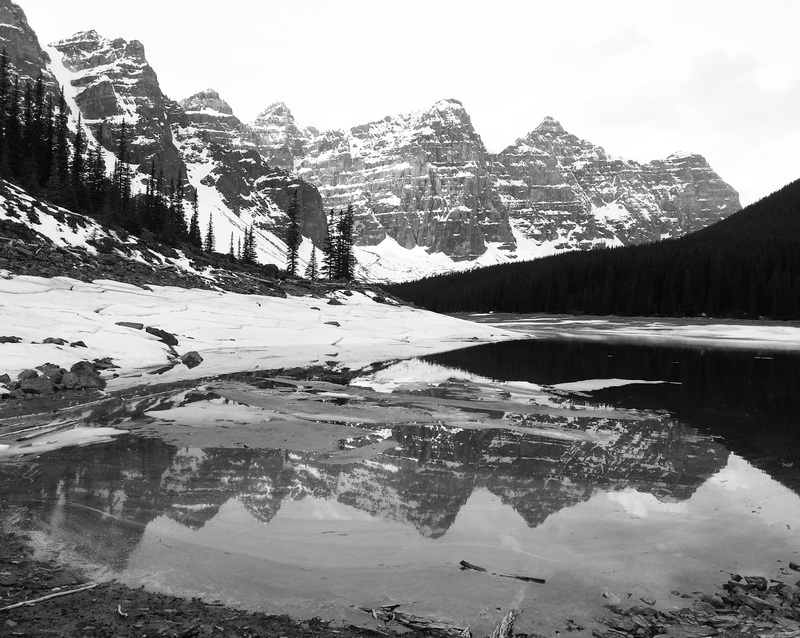 We revisited Moraine Lake to take photos with a lot less snow and ice. Most of the shots were done but I wanted some from a higher vantage point. Climbing up a steepish slope of loose earth and rocks I twisted slightly and my back went into spasm. It was quite painful and quickly became worse. I took some photos but nothing spectacular, my mind seemed to be on other things! On the way back to the car we passed this sign. 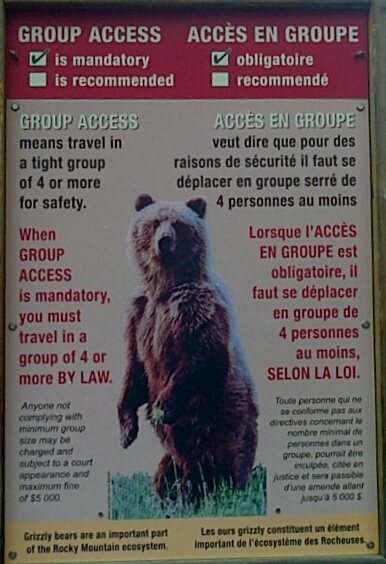 Lots of Grizzlies in the area so it’s against the law to walk the hills alone or in groups of less than 4. I retired injured and had an hour or so off, resting on the bed back at our hotel. I also took anti-inflammatory and pain killer tablets As well as putting on a heated back support. No more photos. 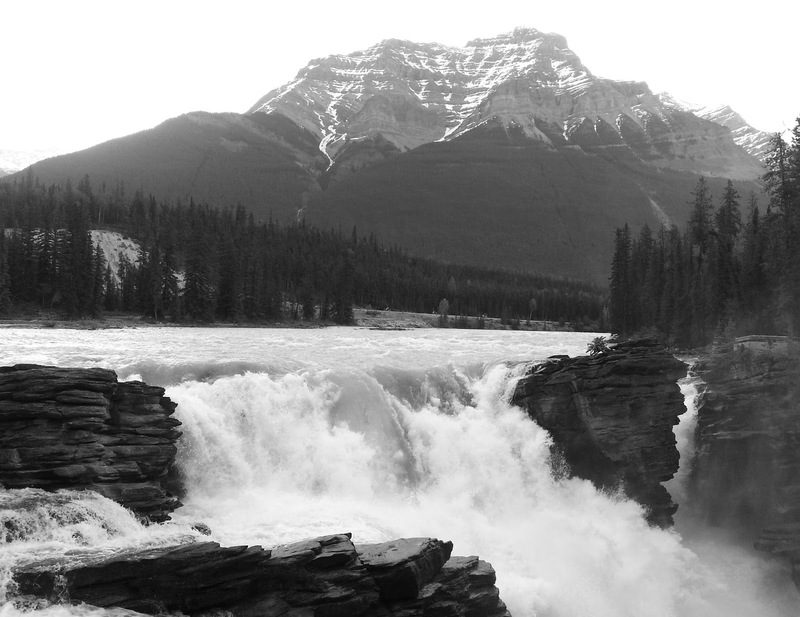 That was yesterday, today we left Lake Louise and headed along the Icefield Parkway to Jasper, about 150 miles. Lots to photograph but it was quite grey and showery at times. 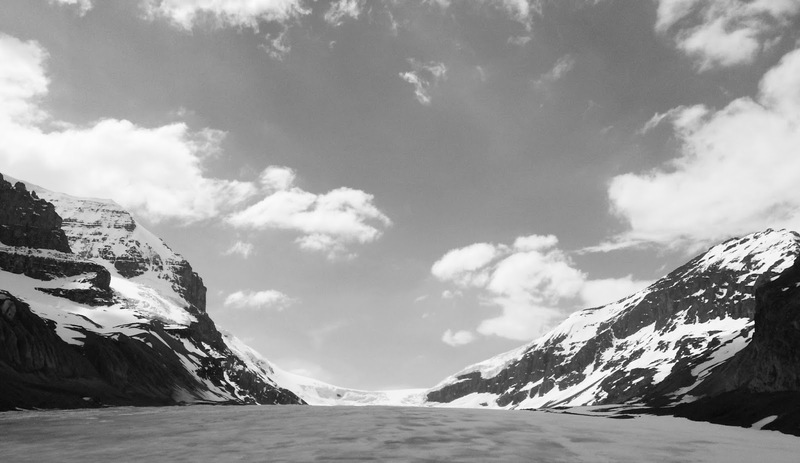 First photo stop was the Athabasca Glacier and Columbia Icefield. Nice sky but a storm was approaching fast so we didn’t linger. My back was painful again, the short walk to the glacier was too much. 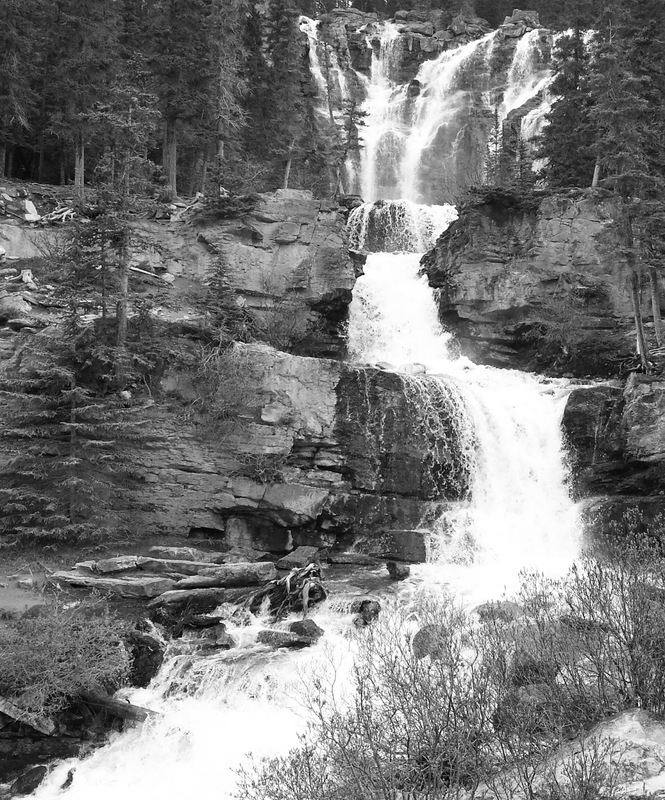 A few more views from the road followed including a couple of impressive waterfalls. Jasper is quite a small place but much bigger than Lake Louise. Managed to find a brew pub that had a very tasty traditional stout. I had a second pint just to check the first one wasn’t a fluke, purely medicinal of course. Back still painful so not sure what we’ll do tomorrow.